We have discovered a new branch to the family. The Cherokee family of Sequoyah (George Gist). 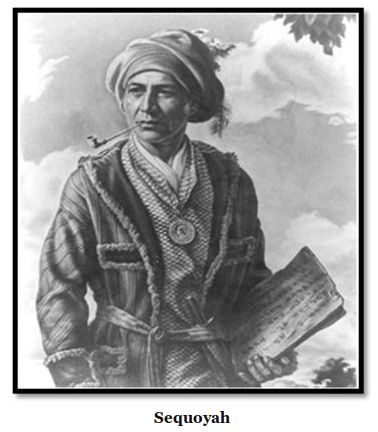 Sequoyah, the son of Nathaniel Gist (1733- 1813), developed the Cherokee writing language in 1821 most Cherokee were using the written language with two years. His grandmother, Wu-teh was the sister of the Cherokee Chief Doublehead and daughter of Chief Great Eagle.